Downeast Teach: Leibster Nomination x 2! 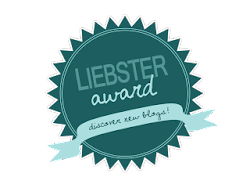 I'm so excited to have been nominated for a Liebster Award, not once, but twice this week! I feel so special! Thanks to Susan at Happiness is Watermelon Shaped in 3rd Grade and Kara at To Engage Them All. They both have awesome blogs...you should definitely check these ladies out! 2. Answer the questions the nominator asked you. 4. Create 11 questions for your own nominees. 5. Nominate 5-11 blogs with less than 200 followers. 6. Contact the nominees to let them know that you nominated them. Here are my answers to Susan's questions. I have such a hard time picking favorites of ANYTHING, but the book that made a huge impression on me when I was returning to teaching 8 years ago after being away for many years, was Debbie Miller's Reading With Meaning. It was such a different approach from what I was used to and it lead me to look at teaching reading a whole new way. I'm a Homegoods girl! I also like Target and Amazon...love being a Prime member and getting free 2-day shipping! 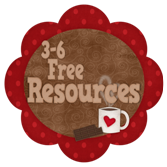 I spend way too much time on my computer between creating resources for my own class and TPT, especially SMARTBoard materials, (it's like scrapbooking to me! ), reading blogs, and browsing and pinning on Pinterest. I sit down to do one little thing, and suddenly it's 3 hours later! I also love to read, cook, and spend time with family and friends. A more defined curriculum! I know we have the Common Core, but at my school, we have no textbooks, no curriculum maps, and no scope and sequence for anything except for math. While all the freedom is nice, it's a huge amount of work to try to make sure you're covering everything. Again, I can't pick just one favorite, but in Maine, we get awesome fresh seafood, so I love lobster, clams, fish, shrimp, crabmeat, etc. I would love to take a Mediterranean cruise to Italy and Greece. The combination of the scenery and the amazing food would be perfect! I'm a huge Downton Abbey fan...I still haven't recovered from the season 3 ending! I also love anything on HGTV and Food Network. I follow lots of blogs, especially other 4th grade ones! I am in awe of how much fabulous information and sharing of ideas is happening in the education world! Yes, my store is called Downeast Teach. I started it almost exactly a year ago. Colleagues had been telling me I should try to market my SMARTBoard math calendar, and I'm so glad they gave me the nudge to take the plunge! It has been amazing to get such positive feedback from so many people, and it has motivated me to become a better teacher. I love historical fiction or books that are set in other cultures. I like to learn something while I'm being entertained. I just finished The Taliban Cricket Club, by Timeri N. Murari, on my Kindle. It's set in Afghanistan during the time that the Taliban took over and is told from the point of view of a young woman who was a college graduate and successful journalist and how her life changes under their regime, when women aren't allowed to leave their homes unless accompanied by males and then they must be fully covered by burkas. How cricket fits into all of this, you will see if you read it. I highly recommend it! 11. Are you a morning or night person? And now for Kara's questions! I had a lot of teachers in my family; my mom, several aunts and uncles. I loved playing school as a little girl, and I really enjoyed babysitting and playing with little kids as I got older. It seemed like the right fit for me! What is your favorite classroom activity of all time? My daily math calendar routine for the SMARTBoard. In 15 minutes a day, I know that I am targeting key skills that my students need. It has made a big difference in their math test scores, I know that even if we have a crazy day, math calendar is always a constant. I have the class helper lead it and the kids look forward to the interactive elements. As I already mentioned, I love historical fiction and books that are set in other cultures. One of my favorites is The Red Tent by Anita Diamant. There's that favorite thing again! Can't pick just one, but I love restaurants that use fresh ingredients prepared in unusual ways with interesting sauces. I would rather have lots of small bites than one big entrée...I love variety! What TV show do you watch but you hate to admit it? Dance Moms... since my girls were on a dance team for 15 years, and I was very active making props and costumes, I get sucked in. Fortunately, our studio was nothing like the one on the show! If you could go on vacation anywhere and didn't have to worry about price, where would you go? What television show can you binge watch for hours on end? Whatever is playing on HGTV, especially Property Brothers and Love It or List It. I love to see the house transformations! What is your favorite thing to do during summer vacation? What piece of technology would you loooooove to have for your classroom? It sounds greedy to say, because I got 6 iPads last year, but I would love to have a class set. Right now, I use them mainly for game apps, but with a whole-class set, I think there is so much more you can do! What website could you not live without in your classroom? I have my own classroom website/blog that I use for parent communication. I post slide shows of things we are doing, as well as links to educational games, videos, resources, and frequently visited sites. The families really like it. As I got more involved with Pinterest and TPT, I didn't have any way to share ideas that had worked for me without linking to my classroom website. I did that for one post and pinned it to Pinterest, but when I saw how many views it got in a short time, it made me uncomfortable because I have student photos there. So...I decided it was time to make a separate blog just for teaching. Okay, here goes with my random facts! 1. 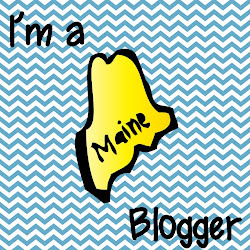 I have lived in Maine my whole life, as did at least 4 generations before me... ayuh, we're real Maine-iacs! 2. My town was so small, there were only 10 kids in my whole grade. In high school, it took 6 towns combined to have a high school of 350 students. 4. Growing up, each summer I raked blueberries to earn money for my school clothes. 6. I used to make miniature foods for dollhouse collectors out of polymer clay. 7. 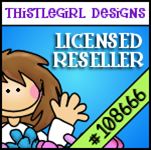 I left teaching for 18 years when my kids were growing up and did a variety of part-time work... hand-painted children's clothes, designed polymer clay jewelry, taught Gymboree, worked in a friend's gift shop, designed costumes and props for my daughters' dance team, etc. This will be my 8th year back teaching. 8. I am obsessed with my SMARTBoard that I got 2 years ago. It has transformed my teaching and I love to create lessons for it! I now teach SMARTBoard classes in my district, and this summer taught a 2-day class in my sister's district. 9. I have been married for almost 33 years to my college sweetheart. We have 2 beautiful grown daughters. 10. I love iced coffee and could drink it all day...especially with the hot, humid weather we are having right now! 11. I hate roller coasters, lima beans, and cocky people. How long have you been teaching and what grade levels have you taught? What is your favorite subject(s) to teach and why? What is something new you would like to try in your classroom this year? What is a talent you are known for? Do you have a store at either Teachers Pay Teachers or Teacher's Notebook? If so, give the link! If you use Pinterest, what is your user name? Other than being a teacher, what would your dream job be? What is a book you would recommend to other teachers? Thanks again to Susan and Kara for nominating me! This has been a lot of fun and I found some new blogs to follow! 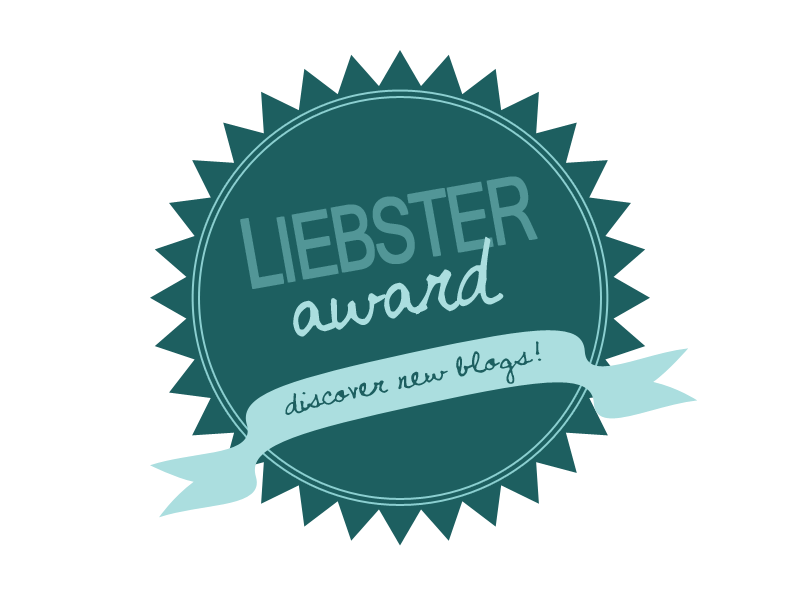 Thank you for the Liebster nomination.